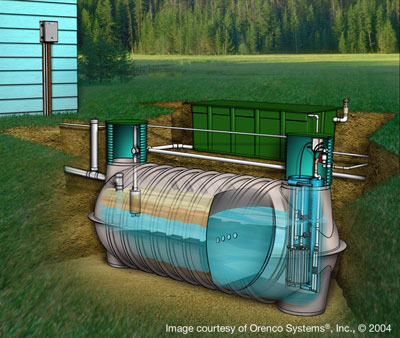 Atlantic Solutions Ltd. has established itself as a reliable source for the design, installation, and operation of onsite (decentralized) wastewater treatment systems. We have recognized the need for reliable cost effective systems to serve a variety of applications from individual home sites to large scale commercial complexes. Thus, we have aligned ourselves with the leading manufacturers of the onsite industry. As suburban development continues to expand and conventional sewer construction becomes too costly, regulators, developers, and homeowners are looking for a dependable solution. With over 10,000 sq.ft. of combined warehousing, manufacturing and office facilities in Portsmouth, RI and Washington, NH, we have the capacity to provide that solution. Atlantic Solutions Ltd. offers a variety of packages to deal with new site construction, site remediation and community sewer systems. Our major product, The Advantex® Treatment System (pictured left), is a prepackaged packed bed filter designed for sites where secondary treatment is desired, or even required, by local regulatory authorities. Other packages include sand filter treatment systems, Ultra-Violet disinfection units, Fiberglass Tanks, and sewage disposal beds. WEB Site Design © 2005 DS Systems Co.